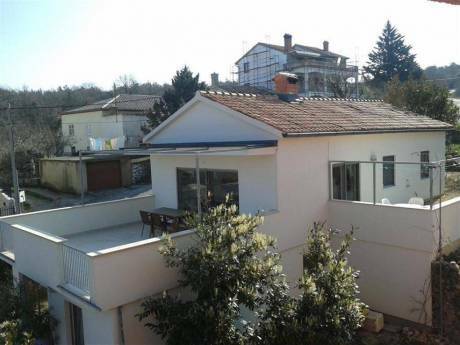 Spacious and open, this multi-level mediterranean summer holiday home will make your Croatian vacation a dream come true. A recently renovated kitchen and the connected outdoor terrace with barbecue is the ideal place to make summer memories with your friends and loved ones. Children will enjoy the spacious back yard and the cook in your family can gather herbs in the spice garden. The house comfortably sleeps 6 people, and the versatile layout of the whole space allows for both togetherness and intimacy. The house comes with two dedicated parking spaces. We are a happy multigenerational multilingual family that enjoys skiing, swimming, travel, good food and fun. We are looking forward to the experinence of seeing new places and meeting new people! We look forward to meeting you! Our house is located at the end of a cul-de-sac in a quiet neighborhood. The beach is 300 meters away, and the nearest supermarket 100 meters. The center of Crikvenica, a developed tourist town famous for its thermal baths since the 19th century, is 2km away. There is a seaside promenade with public and private beaches connecting the town of Selce and Crikvenica, so there are many opportunities to enjoy the wonderful Adriatic sea. Crikvenica offers dining, shopping and sightseeing opportunities, as well as the chance to enjoy water sports. 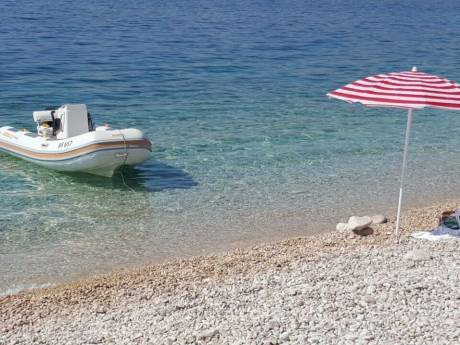 This location is ideal because it is a convenient base for day trips to nearby attractions and tourist sites, such as the city of Rijeka, Senj, and the islands of Krk, Cres, Losinj and Rab. The peninsula of Istria is only 45 minutes away, as are the national parks of Velebit, Risnjak and the famous Plitvica Lakes.